Why do we look were we look? A single red poppy flower in a green field will usually attract your attention, but probably not when you are spotting birds or insects. Your brain simply won’t give it a high enough “priority” in that case. Studying this notion of “priority” in human observers was thus very hard because of a lack of good methods. 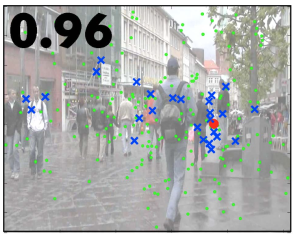 In a paper that appeared in the Journal of Vision, Jan Bernard Marsman and colleagues introduce a new method that enables calculating a “personalized” priority signal from the eye-movements made by an observer. To show that their method works as intended, they used it to localize a number of brain areas involved in this little-explored aspect of human visual information processing.